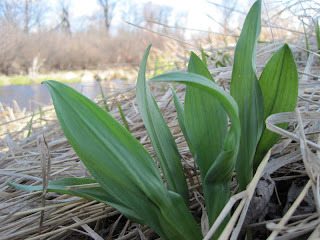 The wild leeks are coming up by the river again. 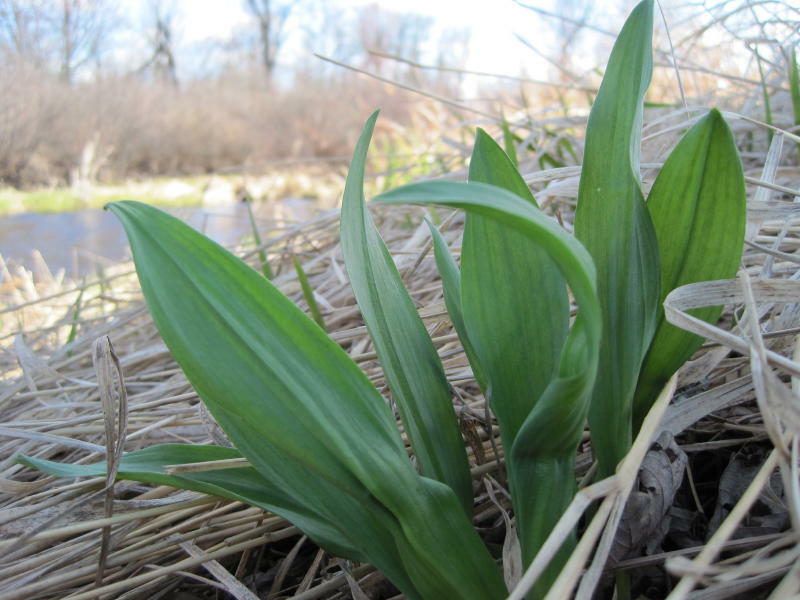 There aren't enough to be able to harvest any here, but we've seen them blanketing the forest floor in the County land nearby. It's a beautiful time of year for a walk in the County Forest.